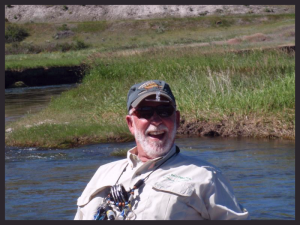 FISH LIKE A GUIDE BUT LIVE LIKE A CLIENT (Oh, How True) or How I Went to Healing Waters Lodge fly fishing school and learned to cast and fish like a pro. There are days when good guides can catch fish while the rest of the world seems to be out to lunch. Guides bring years of experience and skills to the river and adapt effortlessly to the dictates of the water and the trout. 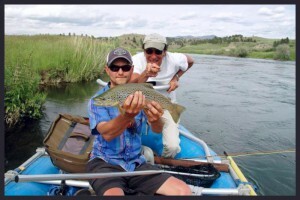 Healing Waters Lodge and Lilly & Kemph Outfitters run very successful fly fishing schools. The goal with each school is make every fisherman better. Jack G. graduate of Healing Waters Fishing School a moment of angling rapture. Better means giving each angler an arsenal of knowledge and skills that will have him or her better prepared the next time they enter a stream. This arsenal includes casting, line control, knots, reading the water, playing a fish, entomology and fly selection, Vulcan mind taps, stream side etiquette, equipment, and spiritual awakenings. 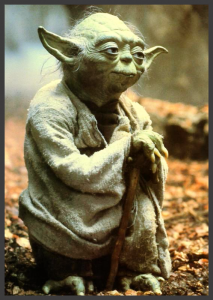 “You will find only what you bring in” Yoda former Healing Waters Lodge instructor and master of French Nymphing techniques. Classes begin after breakfast at the Lodge and then move to the real classroom on the surrounding streams such as the Big Hole, Madison, Jefferson, and Beaverhead; along with the spring creeks, are the best places to get an education in piscatorial pursuits. We emphasize the three ways to fish: dry fly, nymphing and streamers. There is a day dedicated to each of these methods with the techniques that can take you from the fishing outhouse to the penthouse. We will also spend time working on the advantages of wading as well as fishing from a boat. At the end of the day we’ll head back to Healing Waters Lodge and continue to pick the brains of our guides and instructors in a loose format called, “Happy Hour.” Discussions include: Attractors vs. Hatches, Dry flies vs. Nymphs, Nietzsche vs. Schopenhauer, Wading vs. Floating, Shape vs. Color and the status of whitefish as river refugees. Two schools will be held in the spring of 2016: April 24-29 and May 2-6. 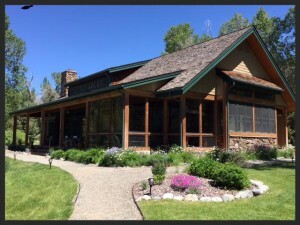 Cost is $2795 for six nights and five days single room occupancy and meals at Healing Waters Lodge, classroom instruction and guided fishing, one day on a spring creek or private water, flies and use of our fishing equipment. We look forward to talking to you and thank you for taking the time to read our newsletter.